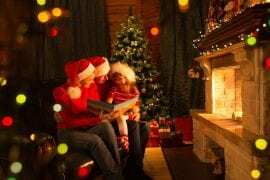 Most people who have sat for long hours at a time on a regular basis were complaining about back pain or neck pain later or sooner. This is the fact that the human body simply is not made for sitting for long hours. In fact, you are a lot less likely to develop neck pain or back pain problems if you stand for several hours a day rather than sitting for long hours in your seat. This is exactly the reasoning behind the height-adjustable standing desk are becoming very popular on the market. These desks will offer you both standing and sitting functionalities, so you easily alter between positions as you work. If you’re in the market for a height-adjustable standing desk then, you in the right place. 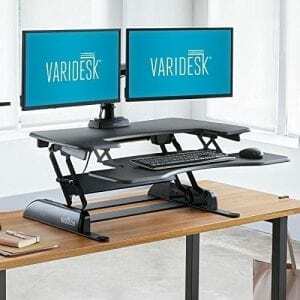 We have researched and reviewed the best height-adjustable standing desks in 2019. The Halter ED-258 Height Adjustable Desk is ready for use when you purchase it, and you don’t need to setup it as it comes preassembled. All that you need to do is to place it on top of a table or desk, and you are ready to use it. 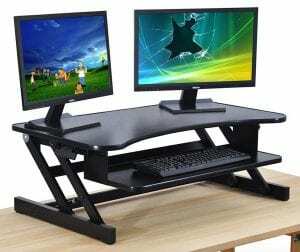 What makes it the best standing desk on the market in 2018 is that it is very easy to adjust the height. You just need only to squeeze the handles on each side. 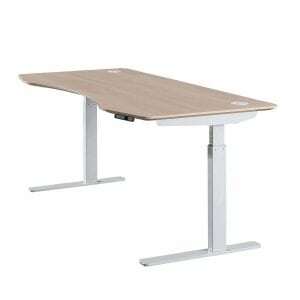 Moreover, it fits on most office desk and tables and it can also switch from standing to sitting position easily. 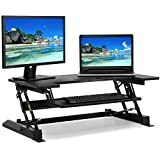 If you are looking for a convenient height-adjustable standing desk that will offer you a large surface to accommodate a couple of laptops or computers, then this is a perfect option. And beside this desk offering you a large working area, it can also easily switch from standing to sitting position using a simple touch height locking mechanism. This standing desk only requires minimal setup and it is very easy to assembly. It does not require any use of special tools. The top surface measures 36 by 22 inches and has a maximum weight capacity of 37.5 lbs. 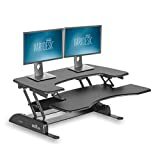 It only takes only a few minutes to adjust this desk from 6.5 inches to 16 inches, making it one of the most comfortable Stand Up desks to use whether you are sitting or standing. It is constructed of aluminum steel frame with high-quality zinc allow joints are making it a long-lasting desk. 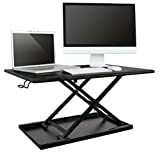 Moreover, it has a large and convenient workspace that will easily accommodate two computers and two retractable keyboard trays. Assembling this desk is very simple and it does not require any experiences or special tools. 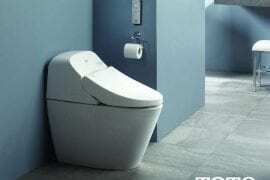 You can easily adjust its from 6.5 inches to 16.5 inches high, making it ideal for both short and tall people. If you are looking for the best height adjustable desk for small rooms, the Halter desk is a great choice. It comes preassemble and ready to use. This desk features a large top that accommodates two computers and sits leaves a lot of space in your office. This desk comes with the Gas Spring Technology for easy height adjustment you just need to easily squeeze the handles on each side. Additionally, it will on most standard office desks. This adjustable height office desk also comes with a 1-year warranty from the manufacturer. 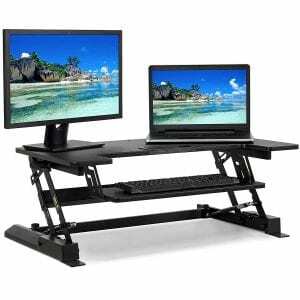 This is a perfect standing desk if you are concerned with your health because it boosts calorie burn. 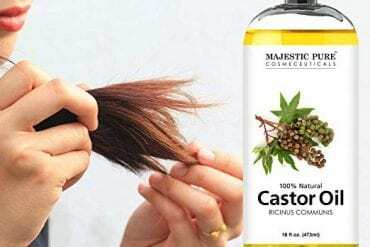 Moreover, it does not require any assembly and comes ready to use when you purchase. It is available in various color options. Are you looking for the best height Adjustable desk perfect for both children and adult? Then the Defy Standing Desk is a perfect choice. This desk comes with a strong pneumatic air cylinder for easy and quick lowering or rising for a comfortable working position when sitting or standing. 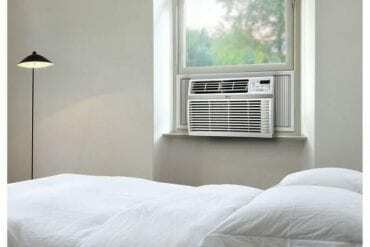 It features different height adjustable ranges with 200 height adjustable positions making it ideal for both tall and short people. 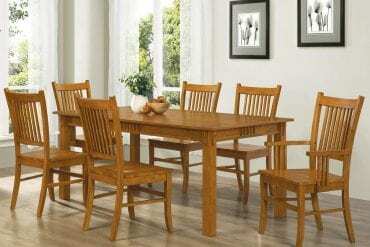 This desk also comes when fully assembled meaning it is ready to use after buying. 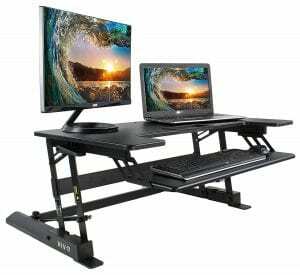 It also has a large top work surface allowing two 21 inch monitors and has a maximum weight capacity of 30 pounds. 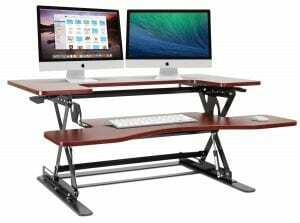 If you are looking for an electric adjustable standing desk, then this desk for ApexDesk is a good addition to your office. This desk measure 71 by 33 inches, which means, it will provide you with a more than enough working space. You can use this desk when standing or sitting. It is very quick and simple to adjust the height from 24 to 50- inches with a simple touch of one button. This desk is also constructed from height quality materials and will remain strong at the fully extended position. Furthermore, the top is made of MDF core which is scratch resistant. Therefore, this desk has been made to really last. Long hours of sitting causes neck and back pain, but this should not be the case anymore. Using the Best Choice Tabletop Desk, you can easily and quickly alternate between the stand and sit positions for improved health. It is also simple to operate, and you can easily vary the height for good sitting posture. This desk also has a big top that holds two desktops, making it perfect for many users. 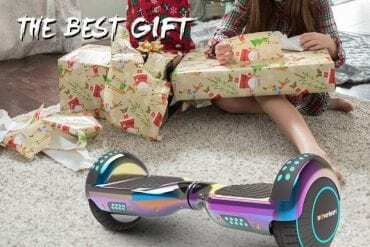 It is also easy to assemble it compared to other models on the market. This desk comes with a smooth gas-spring lift which allows you to adjust the height to 8 different positions. It has a weight capacity of 33 lbs. Are you looking for the best desk with a big workspace? Then, the VARIDESK desk is a desk. 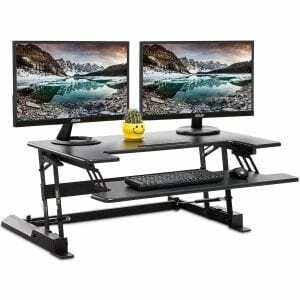 This desk has a spacious top shelf that accommodates two monitors while the lower deck accommodates keyboards and mouse. 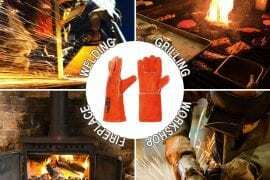 It provides you with a good working position that minimizes straining the hands and eyes when working. It features 11 different height adjustment positions to suit your height. This desk will remain very sturdy and stable even when it is fully extended. 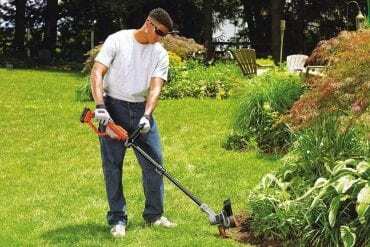 Adjusting the height is also very easy and quick, thanks to the spring-loaded lift mechanism. Additionally, this desk comes when fully assembled and allow you require is to buy and start to use. Finding a healthy balance between standing and sitting when you are working can be very tricky especially if your work has a few breaks. With the FEZIBO Desk, you can easily alternate stand and sit positions without stopping working. Thanks to the dual gas springs locking mechanism for easy and quick height adjustment. The FEZIBO height adjustable desk also has a large working surface which accommodates two desktops. 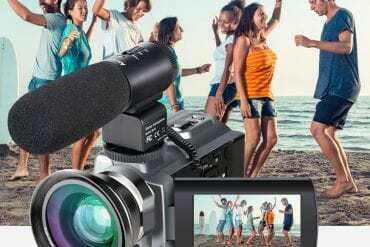 It also comes when fully assembled and ready to use. Unlike other models, this desk features a durable lightweight frame for easy portability around the office. Furthermore, it has a maximum weight capacity of 33 lbs hence ideal for regular office activities. 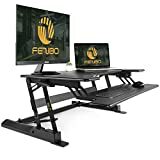 There is a perfect height adjustable desk on the market for everyone and this is regardless of your preference or needs. But, to find that will suit all your needs you need to consider the following factors. Material: The type of material should be the first and most important factors that you should consider before purchasing any desk. This will depend on your preferences and budget. 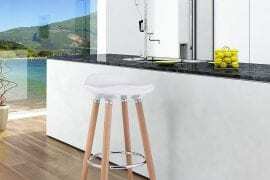 You should also make sure that all the materials used are long-lasting and appealing. Work Surface Area: The work surface area or the amount of space the desk offers is also very important when purchasing a desk. You should get a desk with a top that will accommodate all your computers and other working equipment. Moreover, it also essential to get a desk that will easily fit the space available in your room. Weight Capacity: Beside the desk just offering you enough working space, you should also check the weight capacity of the desk. The heavier the desktop is, the more the weight capability that the desk should accommodate. 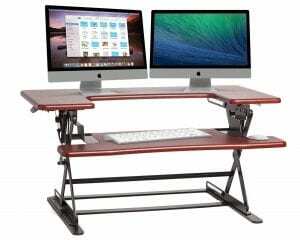 On the market, there is a wide variety of standing desks with different weight capacity from 20 to 350 pounds. Therefore, you can get a desk for your desktops easily. Ease and quick of Height Adjustment: The height adjustability is an essential part of the adjustable standing desk. Therefore, it is imperative to get a desk with an easy and quick adjustment. But, there are different desks that come with different height adjustment mechanisms. 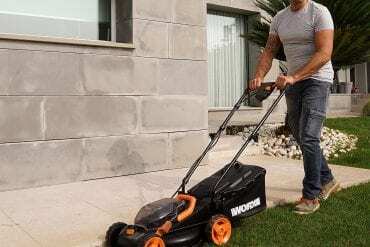 You should also make sure that the mechanism is also very easy to operate and use. Ease of assembling: Without doubts, most standing desks come when unassembled. So, you need to assemble them before use. But also there are some which come fully assembled making you work easily. For the unassembled desks, you should choose the one that is very easy to assemble and one that does not need special tools to assemble it. 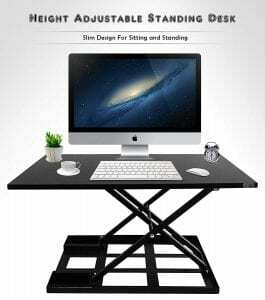 If you want to create a more comfortable workplace both in the home and office, then you need to purchase a height-adjustable standing desk. The above-listed desks are durable, easy to use, lightweight and also easy to adjust the height.